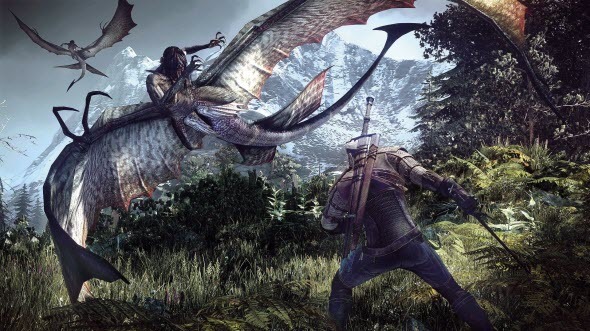 Two days ago we reported that The Witcher 3: Wild Hunt release date, unfortunately, is delayed for the beginning of 2015, and today we want to tell you the latest The Witcher 3 news. Thus, yesterday it was announced that the work under this action-RPG is gaining momentum. The developers from CD Projekt Red don’t stopped or slow down its creation, they have put best foot forward to launch it faster. According to the series’ creators, they have engaged to the project more developers - those who worked on Cyberpunk 2077. However Marcin Iwiński - the co-founder of the studio - insists that the development of the abovementioned game won’t change and there won’t be any delay in the project’s release, the date of which is still unknown. Such The Witcher 3 news may indicate that the heads of the company - Iwiński and Kiciński - have judged the losses that they may incur due to the delay of the project’s launch day (it's not just about the financial side, but also about the number of lost fans), and, maybe, have decided to change their tactics. Let us recall you that The Witcher 3: Wild Hunt release date, announced a few days ago, is scheduled for early February 2015. But due to the latest news, the situation may change very quickly. And what do you think about it?